To apply for a position at ABC7 please click on the applicable link below. Scroll to the bottom for information about internships. KABC-TV is an equal opportunity employer and seeks to provide information about our job opportunities to as many people as possible. Any organization providing employment information or job referrals may click here to email us to request to be added to our contact list for future notification of our openings. KABC-TV EEO reports on FCC.gov. If you are interested in jobs with The Disney/ABC Television Group, please visit disneycareers.com. KABC-TV, the Disney-ABC Owned station in Los Angeles, is looking for innovative multi-platform journalists who are ready to start or advance their careers by becoming part of a new effort to shape the future of video storytelling and make a positive difference in the communities we serve by creating great local content. We want self-sufficient story tellers who can create memorable content for our digital, social media and broadcast platforms. You must be able to take a story from concept to completion every day. Successful candidates will join a corps of community journalists who will report hyper-local stories from neighborhoods where they live. We regard this as an entry-level position and we will mentor you to prepare for future career opportunities. You should be as comfortable in front of the camera as you are behind it and truly love the art of telling a good story. You will be expected to produce various styles for various platforms. You must be able to research, set-up, shoot, edit, and write content on a daily basis. Experience with Adobe Premiere and/or Dalet One-Cut is a plus. You must be willing to be assigned to live in a specific community in order to cultivate contacts and root-out great, exclusive, unique local stories. We want respected, knowledgeable, and ethical station representatives. You must be willing to work any day, any shift. Candidates should submit work showing cool, creative & innovative uses of video, images, graphics, writing, shooting and editing. Equal Opportunity Employer - Female/Minority/Veteran/Disability/Sexual Orientation/Gender Identity. ABC7 Los Angeles is looking for a freelance/part-time creative content producer to contribute their talent to various ABC7's local productions including Eye on LA, Vista La, and red carpet award pre- and post-shows across broadcast and digital platforms. Must be an excellent storyteller, compelling writer, and able to communicate vision effectively and efficiently in the edit bay. Qualified candidates will have at least 5 years experience post-producing television and social content, pre-interviewing and booking talent. Outstanding communication, organizational, and multi-tasking skills are essential and must thrive in a deadline-driven environment. Equal Opportunity Employer - Female/Minority/Veteran/Disability/Sexual Orientation/Gender Identity. ABC7 Los Angeles is looking for a dynamic, self-motivated, technically-savvy news junkie to join our online news team at our Glendale studios. Candidates should have experience working and multitasking in a high-pressure television news environment. Strong editorial skills, video editing abilities and sharp news judgment is a must. You must have strong basic computer skills, including common keyboard shortcuts. Candidates must thrive in a team environment but also be able to work independently. Candidates must be available to work flexible hours, including overnights, weekends and holidays. Applicant must possess: Strong writing and copy-editing skills; solid newsgathering abilities; proficiency with AP Style; strong computer skills; solid knowledge of basic HTML; strong grasp of social media and basic Photoshop skills. Ability to shoot and edit video a plus. Key responsibilities include: Timely posting of breaking local and national news on all digital platforms, including but not limited to websites, apps and social media; working with producers, assignment editors and talent to coordinate on-air and online news coverage; executing special projects for various station departments, including sales, audience development and community affairs; site troubleshooting and overall maintenance of the high editorial standards of ABC7 and abc7.com. Equal Opportunity Employer - Female/Minority/Veteran/Disability/Sexual Orientation/Gender Identity. ABC7 Los Angeles is seeking experienced ENG camerapersons for freelance employment. Successful candidates will have at least two years experience in daily newsgathering, live microwave truck operation, and editing in the field. Non-linear editing experience a plus. Scheduling flexibility, including willingness to work weekends, early mornings, late nights, and holidays a must. Equal Opportunity Employer - Female/Minority/Veteran/Disability/Sexual Orientation/Gender Identity. ABC7 Los Angeles is seeking a freelance director to join our team to work on news and live local productions. The ideal candidate should have knowledge and/or working experience with Ross Overdrive. Candidate should have a strong sense of newscast structure plus significant hands-on experience operating in a computer assisted environment, with the ability to work efficiently under pressure. Operational knowledge of ENPS and DALET Newsroom systems is a must. Knowledge of peripheral devices such as VIZ RT Graphics systems, Stratus Servers, and ORAD display systems is a plus. This position interacts with various departments and requires exceptional organizational skills. Equal Opportunity Employer - Female/Minority/Veteran/Disability/Sexual Orientation/Gender Identity. ABC7 Los Angeles is looking for freelance Graphic Artists/Broadcast Designers. If your creative juices pack a punch when working under tight deadlines, keep reading! Candidates must be resourceful, team players who are excellent at multi-tasking with the ability to conceptualize and design in broadcast, print, and web media. Advanced level in Adobe Photoshop and Adobe After Effects; experience in Adobe Premier, Adobe Illustrator and VizRt. Equal Opportunity Employer - Female/Minority/Veteran/Disability/Sexual Orientation/Gender Identity. ABC7 Los Angeles is seeking experienced, skilled broadcast maintenance engineers for freelance employment. These positions will require significant, diverse experience in installation and maintenance of modern digital production, ENG, and RF transmission systems. FCC license and/or SBE certification is desirable. Shifts may be part or full-time and the ability to work a varied schedule including early mornings, nights and weekends is necessary. Equal Opportunity Employer - Female/Minority/Veteran/Disability/Sexual Orientation/Gender Identity. ABC7 Los Angeles is seeking experienced news editors for freelance employment. Must be able to work under tight deadlines. Minimum 3 years experience preferred in a local television station news department. Familiarity with the Edius/Stratus system preferred. Experience in recording, and playback of video as well as storage and archiving a plus. Successful candidate will be a team player and have excellent communication skills. Equal Opportunity Employer - Female/Minority/Veteran/Disability/Sexual Orientation/Gender Identity. If you are in-sync with the pulse of the city, are a news junkie with an innate marketing instinct and can get to the core with your creative messaging-we want to talk to you! The Freelance Producer/Editor is responsible for bringing the ABC7 and Eyewitness News brands to life through compelling writing, superior editing and strategic conceptualization. This person must have the unique ability to connect with diverse demographics and craft creative and conversational promos that effectively reach and connect with KABC's targeted audiences. This team-player position works closely with the Creative and News teams and requires a fiery passion and a competitive spirit with a desire to push our products forward. The ideal candidate will write, edit and produce daily topical promotions, will help conceptualize and execute strategy of image campaigns, and create promotional spots for special projects. The successful self-starter will be digital-savvy, an excellent conceptualizer, producer, writer, strategist, editor, videographer and imaginator who can capture our viewers through powerful communication and images. Must be innovative, edgy, and willing to take risks. Must be available to work flexible hours, including evenings and weekends. Equal Opportunity Employer - Female/Minority/Veteran/Disability/Sexual Orientation/Gender Identity. ABC7 Los Angeles seeks an experienced individual for the position of freelance Transmission Engineer. Duties will include acquisition, transmission, routing, and quality control of satellite, microwave, and other signals. The successful candidate will operate in a demanding, live news environment. The ability to work various shifts including nights and weekends is required. Candidate should be motivated to excel and possess strong interpersonal skills. Significant knowledge of southern California geography and the ability to multi-task in a fast paced environment is required. Equal Opportunity Employer - Female/Minority/Veteran/Disability/Sexual Orientation/Gender Identity. KABC-TV, the ABC Owned local TV and digital content provider in Los Angeles, seeks a creative, energetic, general assignment reporter. Qualified candidates must be great writers and have strong live presentation skills. Ability to shoot, edit and publish is essential. Must be able to demonstrate social media fluency. Successful candidate is expected to shoot their own material at least some of the time. Previous local news anchoring or fill-in anchoring experience is preferred. If you work well under deadline pressure, are a strong journalist and story-teller, and are comfortable handling live breaking news at the anchor desk and in the field please apply. Equal Opportunity Employer - Female/Minority/Veteran/Disability/Sexual Orientation/Gender Identity. ABC7 is seeking an energetic, hands-on media systems specialist to fill an exciting new role of Media Technician. The successful candidate will present a diverse set of technology skills used in the creation and distribution of media for broadcast, internet, and social platforms. Qualified applicants will have experience with a variety of tools including non-linear edit systems, news automation systems and network/IP based media systems. Troubleshooting and support skills with ENG and video systems are a plus. Candidates must have exceptional interpersonal skills and be proficient verbal and written communicators. Social media and digital fluency a must. Equal Opportunity Employer - Female/Minority/Veteran/Disability/Sexual Orientation/Gender Identity. ABC7 Los Angeles is seeking a creative, hands-on Producer for one of our weekday morning Eyewitness News broadcasts 4-7 am. Must be a self-starter, have great news judgment, thrive on breaking news and deadline pressure, and be an efficient, excellent writer. Must be very organized, collaborative and good at managing people and resources, with an eye for impact, relevance and moments that connect with viewers. Must be able to use social media to gather and distribute news. Must be willing to work overnight. At least 3 years local TV newscast producing experience, familiarity with Dalet and desktop editing preferred. Equal Opportunity Employer - Female/Minority/Veteran/Disability/Sexual Orientation/Gender Identity. Does Los Angeles traffic drive you crazy? Are you the person who always knows the best way to get anywhere in 20 minutes? Is the WAZE app always open on your phone? Do you think you have what it takes to help viewers tackle Southern California's traffic headaches and still make them smile? ABC7 Los Angeles seeks a morning traffic anchor to present and post vital information about traffic for audiences across ABC7's broadcast, digital, and social platforms throughout the morning rush hour. Knowledge of Southern California highways, previous on-air experience, broadcast news reporting and/or traffic reporting experience preferred. Experience as a weathercaster a plus. Experience operating WSI Max Traffic and WAZE mapping also a plus. If you think you can become the traffic source everyone counts on, please apply. Equal Opportunity Employer - Female/Minority/Veteran/Disability/Sexual Orientation/Gender Identity. ABC7, the number one station in Los Angeles, is seeking News Assistants for freelance employment. The duties of this entry level position include but are not limited to logging tapes for stories and for music usage, searching tape files for video, answering phones, and running teleprompter. Shifts are varied and work will include some evenings, early mornings and weekends. College degree or current college attendance required. Equal Opportunity Employer - Female/Minority/Veteran/Disability/Sexual Orientation/Gender Identity. ABC7 Los Angeles is seeking experienced television newswriters for freelance employment. Minimum of two years broadcast news experience. Ability to work quickly and under continuous deadlines. Knowledge of ENPS news system, line producing experience, and non-linear editing experience all pluses. Scheduling flexibility and willingness to work weekends, overnights, and holidays a must. Equal Opportunity Employer - Female/Minority/Veteran/Disability/Sexual Orientation/Gender Identity. Do you have the ability to write stories and produce newscasts with emotional and visual impact? ABC7 Los Angeles is looking to hire a staff Newswriter/Newscast Producer. Candidates must be great writer/storytellers who also understand the role that social media plays in reaching viewers and creating content. Ideal candidates will have at least 3 years newscast writing and producing experience and the ability to work quickly under constant deadline pressure. Knowledge of Dalet, non-linear editing, VIZRT, and touch-screen technology a plus. Schedule flexibility and willingness to work weekends, overnights and holidays a must. Equal Opportunity Employer - Female/Minority/Veteran/Disability/Sexual Orientation/Gender Identity. If you are in-sync with the pulse of the city, are a news junkie with an innate marketing instinct and can get to the core with your creative messaging-we want to talk to you! The Producer/Editor is responsible for bringing the ABC7 and Eyewitness News brands to life through compelling writing, superior editing and strategic conceptualization. This person must have the unique ability to connect with diverse demographics and craft creative and conversational promos that effectively reach and connect with KABC's targeted audiences. This team-player position works closely with the Creative and News teams and requires a fiery passion and a competitive spirit with a desire to push our products forward. The ideal candidate will write, edit and produce daily topical promotions, will help conceptualize and execute strategy of image campaigns, and create promotional spots for special projects. The successful self-starter will be digital-savvy, an excellent conceptualizer, producer, writer, strategist, editor, videographer and imaginator who can capture our viewers through powerful communication and images. Must be innovative, edgy, and willing to take risks. Equal Opportunity Employer -Female/Minority/Veteran/Disability/Sexual Orientation/Gender Identity. 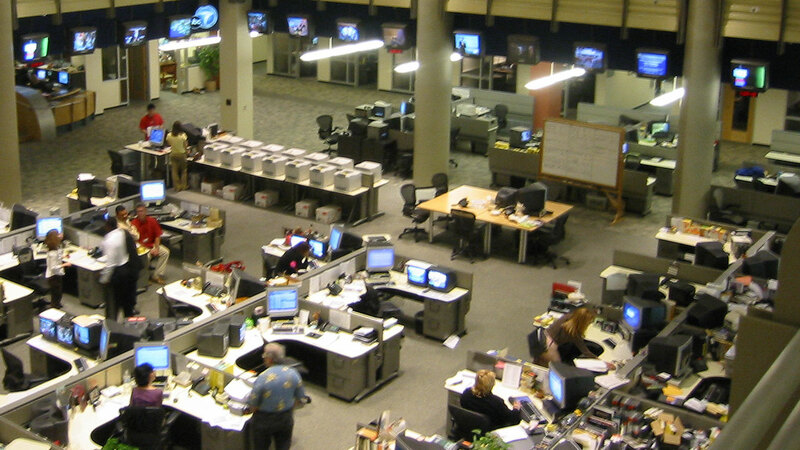 Are you a news junkie with strong leadership qualities? ABC7 Los Angeles, is looking for a dynamic, technically-savvy lead producer to join our digital management team. Candidates should have experience working and multitasking in a high-pressure news environment. Strong editorial skills, social media expertise and sharp news judgment are a must. Knowledge of the Dalet system and non-linear editing experience are all pluses. Key responsibilities include: supervising digital staff; timely posting of breaking local and national news; working with broadcast and online producers and the assignment desk to coordinate on-air and online news coverage; coordinating special projects with various station departments; site troubleshooting and overall maintenance of the high editorial standards of ABC7 and abc7.com. Applicant must possess strong writing and copy-editing skills; a passion for digital storytelling and familiarity with Adobe Photoshop and Premiere. Equal Opportunity Employer - Female/Minority/Veteran/Disability/Sexual Orientation/Gender Identity. ABC7 is seeking a strategic creative executive who understands how a media brand interacts with audiences anywhere and anytime. Reporting to the President and General Manager of KABC-TV, this executive will manage the station's brand on all platforms and produce brand appropriate original content. This position requires expertise in data-focused, audience-based brand development and design, content creation and social media marketing, as well as experience in social listening, sales promotions and influencer marketing. Manage the ABC7 brand on all platforms (on-air, online, mobile, etc.) through the development and execution of innovative creative and marketing campaigns. Leverage research and real time data analytics to launch timely social media campaigns that grow audience engagement with and emotional connection to the ABC7 brand, content and talent. Oversee the creative development and production of live event, original series and select short-form programming. Manage the station's off-channel media budget and media buying agency. Grow the brand identity and relevance of ABC7 by developing and creating original, emotionally-impactful content and touch points for our audiences. A demonstrated track record of managing the creative expression of a media brand on and off-air. Experience with, or deep understanding of, brand management across digital platforms (online, mobile, etc. ), including social media. A strong understanding of how to use research and data analytics tools to drive audience engagement and media buying on all platforms. Experience supervising the development and production of live event and series programming. Excellent management skills and an ability to inspire a creative, positive, supportive and encouraging work environment. Experience working in the marketing and/or programming department at a local broadcast station. Experience producing original content that integrates sponsors and advertisers. Equal Opportunity Employer - Female/Minority/Veteran/Disability/Sexual Orientation/Gender Identity. ABC7 Los Angeles is looking for a dynamic freelance/part-time videographer to help skillfully capture various ABC7's local productions including Eye on LA, Vista La, and red carpet award pre- and post-shows. Must have a creative eye, be a compelling visual storyteller, and pay special attention to detail. And if you're an experienced Avid editor, even better! Qualified candidates will have at least 5 years professional experience shooting video projects for broadcast or digital platforms. Equal Opportunity Employer - Female/Minority/Veteran/Disability/Sexual Orientation/Gender Identity. ABC7 Los Angeles is seeking a weathercaster for weekend newscasts and weekday general assignment reporting. Meteorologist certification, previous reporting and weather forecasting experience in local television preferred. Working knowledge of WSI Max Graphics, EEC Radar, and production of digital content also a plus. Social media proficiency is essential. Equal Opportunity Employer -Female/Minority/Veteran/Disability/Sexual Orientation/Gender Identity. KABC-TV is an equal opportunity employer. KABC-TV wants to widely publicize our job opportunities. Any organization that regularly distributes employment information to job seekers or that refers candidates to employers may ask to be put on our mailing list to receive information about job vacancies. For further information, please contact us at (818) 863-7725. ABC7 has a variety of internship opportunities available year-round to currently enrolled college students pursuing careers in TV/Broadcasting and other related fields. Our internship program is designed to provide students with an educational experience that complements their academic studies and provides an opportunity to observe and participate in the daily work and operation of the television station. The objective is to enhance the student's understanding of the broadcasting business and to reinforce their desire to further pursue a career in broadcasting. To apply for an internship with ABC7, visit disneycareers.com and enter KABC-TV in the search box.